Orange Chef's new 'Countertop' device. What if your kitchen could make a recommendation about what you should cook after a long day at work? Or suggest you make a healthy smoothie after a long run? Then, what if it could walk you through, step-by-step, how to prepare that tasty smoothie? 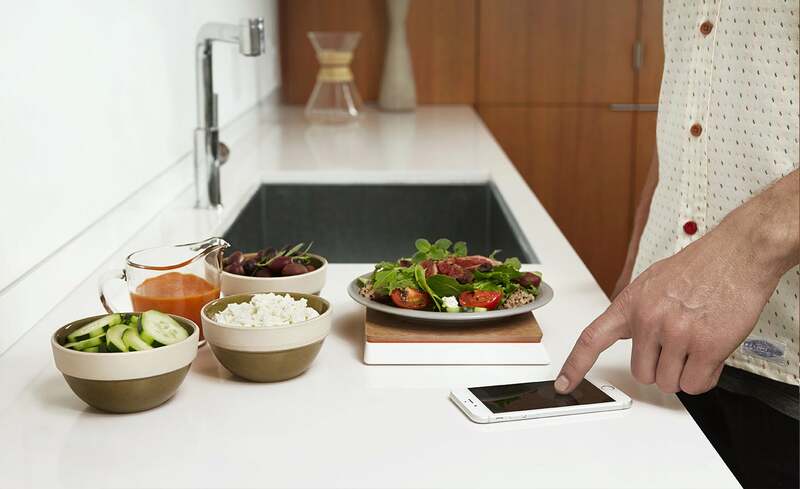 That’s the idea behind Countertop, a new connected-kitchen gadget by Orange Chef that aims to not only make nutritious, smart suggestions on what you should eat, but also help you cook those things as well. With it, you can track what you eat and drink during the day, get healthy meal suggestions and get directions on how to make something new. On the surface, the gadget looks sort of like a cross between a cutting board and a kitchen scale. It connects to your iPhone or iPad, and you interact with it through a mobile app. When you come in from that run, for example, you can power up the app and check out recipes for snacks to get some of the energy back you lost pounding the pavement. Where Countertop shines is how it pairs with other devices. The app connects with your Jawbone Up, so it will know you’ve just finished working out -- and have calories to spare for a little snack -- when you launch it. The device also pairs with Vitamix blenders, so when you pick that perfect strawberry smoothie you can just put your blender on the Countertop and start adding fruit. Countertop knows how much of everything you’re adding to the blender and adjusts the recipe on the fly. In other words, you can’t screw it up. The best part is that “smart” blender is actually the same blender you’ve been using for years. “It’s a very different way to think about the Internet of Things,” CEO and founder Santiago Merea shared with us during a demo of the product. Merea realized that asking customers to invest in all new “smart” appliances is a huge value proposition, and would mean the company would have to compete against big appliance makers that are known for their iconic products. Instead, the company has built a digital layer over that existing equipment, enabling you to take something that’s been in your kitchen for years and make it intelligent. For blenders, that’s done through a small plastic adapter (Vitamix only for now) that snaps onto the bottom and allows it to communicate with the Countertop via NFC. 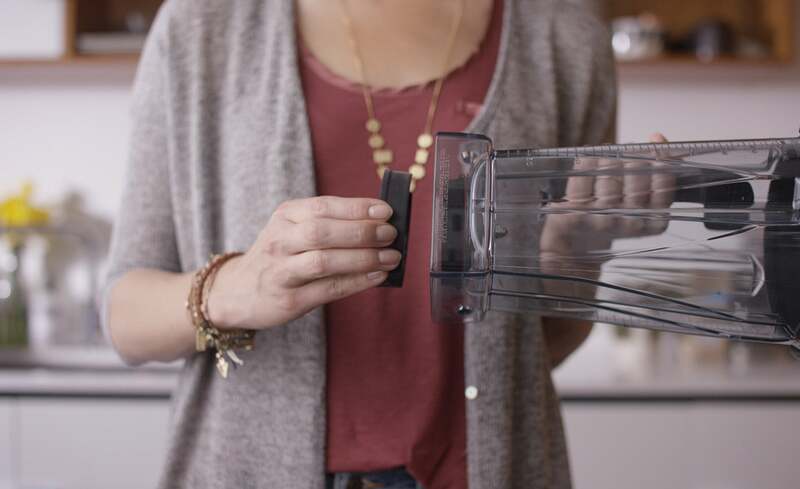 The company also is launching with a small sticker that can be stuck to the bottom of your existing Crock-Pot to make it smart as well, and has plans to release adapters for other common kitchen appliances in the future. Merea says he hopes this approach with make it affordable and accessible for customers, and enable the company to build an “operating system for the kitchen” on top what’s already there. Countertop is available for pre-order today for $99.95, 50 percent off it’s expected retail price of $199.95. The first devices are expected to be in consumers hands in the Fall of 2015. During the pre-sale period, you can also grab the accessories for Vitamix blenders and Crock-Pots for 50 percent off, making them $9.95 and $4.95, respectively.